You remember the man who took his torn trousers to the Greek tailor? The tailor asked, Euripides? Yes, said the man, Eumenides? Every now and again the Guardian letters column sports a series of punning contributions on some particular theme. Just at the moment the theme is Greek. For pitta’s sake! Have we not been punnist enough by all these ill-bread Guardian readers ouzo lack a sense of houmous? I can’t understand the calls for an end to the Greek letters. We know the Guardian enjoys themed correspondence. Sparta the letters page ethos. I hope you Argoing to stop these Greek letters. Some take a minotaur so to understand. Others made me feel so Iliad to stop reading. This last one doesn’t work for those of us who pronounce ˈmaɪnətɔː rather than ˈmɪnətɔː — which means it doesn’t work for most Brits, or at least most British classicists. I imagine Americans, though, will twig minute or with no hesitation. Here’s Saturday’s effort. As always, you do have to know how the relevant names from Greek mythology and history are pronounced in English. There are Menelaus of subtlety to Dis Greek correspondence. Please maintain it or Alcibiades newspaper no more. In RP the difference between Menelaus and many layers may be no more than the difference between s and z. Scandinavians would find the two perfect homophones. Alcibiades is ˌælsɪˈbaɪədiːz, and I think you have to be generous to interpret it as I sh’ll buy this (?). In other news, the Faculty of Classics at the University of Cambridge has egg on its face because the Greek inscription on the glass doors of its new building is misspelt: it has a Latin S instead of a Greek sigma Σ. The English spelling ah is “unambiguously a long open vowel spelling” (Carney). Apart from interjections (ah!, bah!, hurrah!, pah! ), it is found mainly in foreign names, such as Ahmed, Bahrein, Brahmin, Brahms, Kahn, Mahdi, Mahler, Shah. In all of these ah stands for ɑː. In final unstressed position, true, ah represents the corresponding weakened vowel, ə, as in cheetah, hallelujah, loofah, messiah, rajah, Delilah, Jeddah, Sarah; but in stressed position and in monosyllables its “value” as ɑː is so self-evident that it is confidently used in respelling systems for native speakers of English. Thus we Brits caricature Americans as saying Gahd instead of God; we represent Cockneys as saying dahn instead of down; and northerners think southerners say glahss instead of glass. The OED’s first citation is dated 1804, two centuries ago. If the name had been first introduced more recently, say since 1950, I think there is little doubt that we would all be saying ˈdɑːliə, “popular use” or not. OK, yah? hunting high and low for a Unicode font that has the labiodental flap. Can you help? The answer was easy: the symbol she needs is already available in the SIL fonts she uses regularly. The problem is knowing where to find it among the thousands of characters in the fonts. And the place to find it is at Unicode number 2C71. The voiced labiodental flap symbol is the newest letter to be added to the IPA chart inventory, though it has now been with us for several years. It was the topic of one of the very first entries in this blog (25 March 2006), where I reported that it had been added to the widely-used SIL phonetic fonts, Charis SIL and Doulos SIL. The last time we mentioned it was two years ago (blog, 16 April 2008). It was adopted by the IPA too late to make it to the most recent printed Unicode standard, 5.0. However it was added for the Unicode 5.1 revision, and you’ll find it in the current on-line Unicode charts. So, briefly, here’s what you need to know: the labiodental flap symbol is at U+2C71 LATIN SMALL LETTER V WITH RIGHT HOOK. It is included in the current versions of the SIL fonts Charis, Charis Compact, Doulos and Doulos Compact, and also in the font Code 2000. However, it is not found in the Microsoft fonts routinely supplied with new PCs, nor in Lucida Grande. So PC users will need to download and install specialist fonts. I imagine Mac users will too. Tiresomely, Unicode did not add it to one of the blocks where phonetic symbols are usually found (IPA Extensions, U+0250–U+02AF; Phonetic Extensions, U+1D00–U+1DBF). Instead, it is in a small block called Latin Extended-C (U+2C60–U+2C7F), nestling unobtrusively between Glagolitic and Coptic. Within that block it lies among the “miscellaneous additions” located between “Additions for Uighur” and “Claudian letters” (Latin letters invented by the emperor Claudius but soon dropped). It’s not surprising that people say it’s hard to find. If your browser settings are favourable and you have a suitable font, you may be able to see the symbol here: ⱱ, or in a larger size ⱱ. Looking at the conference website I am struck by the clumsy English it contains. Or is this just our old friend/enemy English as a Lingua Franca? Innovation in the Infocomm Technologies have revolutionized the world and provided with a born-global platform that delivers rich information on every imaginable subject and enables the unprecedented integration of social information. ICT Symposium would be held at the grandiose locale of the conference. The Symposium hall will have the latest state-of-the-art facilities conducive to the requirement standards of the national and international organizations participating in the Symposium. “Innovation ... have revolutionized ... and provided with ...”? Come again? “Conducive to the requirement standards”? Sorry? We know that an inability to use accurate English is one of the characteristics of fraudulent spam. I have no knowledge of “infocomm technologies” and no interest in the related “competitive strategies”, so I will not be attending this conference. But I have to ask whether it is really a wise “competitive strategy” for an academic conference to behave like a spammer. The biggest international phonetics conference is the four-yearly International Conference of Phonetic Sciences. The next ICPhS, following Barcelona in 2003 and Saarbrücken in 2007 (blog, 13 August 2007), will be held in Hong Kong in 2011. 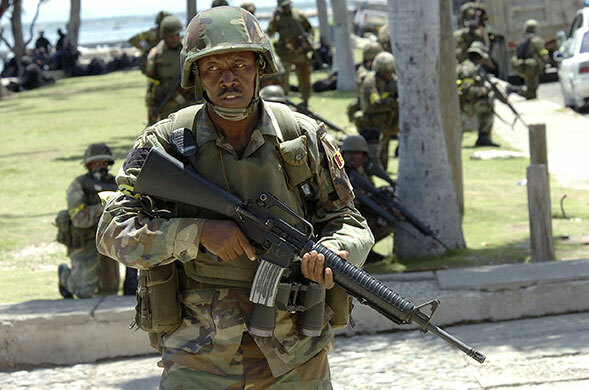 The dates are reportedly 16–20 August. Unlike ICT 2010, ICPhS 2011 has not yet provided any information (even such basic information as the conference venue) and has no website, or none that I can discover. I hope we shall soon get to see a Call for Papers. One, or perhaps two, but not three a day for week after week. In LPD one of the innovations I introduced (as compared with the then EPD) was a set of entries devoted to affixes and combining forms. This was actually one of the most difficult parts of the book to write: I had to try to distil the contents of works such as Erik Fudge’s English Word Stress (HarperCollins, 1984) into something snappy and clear at each entry. The example(s) were meant to be carefully chosen to show the stress effect (if any) of the affix. Here, -ic causes stress (and therefore a strong vowel) on the preceding syllable -od-, which in the base form period is unstressed and weak. I didn’t attempt to provide lists of exceptions (if any). In the case of -ic there are hundreds and hundreds of regular cases, alongside a handful of exceptions such as Arabic, catholic, heretic, rhetoric. Last week I was brought up short by the word infantilism. This word is stressed on the -fant-: ɪnˈfæntɪlɪzəm. Why? Yet -ism is one of the suffixes usually regarded as having no effect on stress. Think of radicalism, clericalism, feudalism, parochialism, imperialism, capitalism, territorialism, nationalism, liberalism, journalism, naturalism, fundamentalism, creationism, magnetism, relativism, negativism and large numbers of other cases. Are there any other words like infantilism, in which the suffix appears to impose stress on a syllable different from that stressed in the base form? In mechanism ˈmekənɪzəm and evangelism ɪˈvændʒəlɪzəm the stress goes on the second syllable back from the suffix: compare mechanic(al) mɪˈkænɪk(əl) and evangelic(al) ˌiːvænˈdʒelɪk(əl), in which -ic has its usual effect. There’s no base form *mechan, though there is a combining form mechano- ˌmekənəʊ-. There’s a rare word evangel ɪˈvændʒəl (OED: “now arch. or rhetorical”). There’s no obvious base form for monotheism, polytheism, synergism or syncretism. In the case of catholicism kəˈθɒlɪsɪzəm the suffix -ic regains its usual ability to impose stress on the preceding syllable, despite its failure in catholic. There’s some uncertainty or variability about word stress placement in opportunism, obscurantism, mercantilism and Adventism. -ism has no effect on word stress. There are two important exceptions: catholicism and infantilism. On Monday we had a coach outing from Llandudno, to Caernarfon, Criccieth, Betws-y-Coed and the majestic scenery of Snowdonia (Eryri). Mountains always lift the spirits. 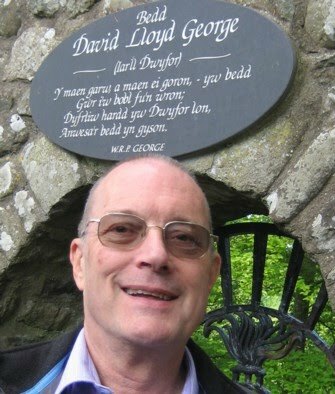 One place we stopped at was the village of Llanystumdwy ɬan(ə)sˈdɨmduɨ, where David Lloyd George is buried. He was the only British prime minister not to be a native speaker of English. By his grave there is a memorial stone bearing an epitaph in verse. it caresses the grave for ever. I think I’m right in saying that the particular verse form here is known as the englyn unodl union ˈeŋlɨn ˈɨnodl ˈɨnjon (“straight single-rhymed englyn”). This consists of four lines of ten, six, seven and seven syllables. (I think garw in the first line is scanned as a monosyllable.) The eighth syllable of the first line introduces the rhyme, -on, which is then repeated in the last syllable of each of the other three lines. From time to time it’s good for native speaking teachers of English to experience life from the point of view of the language learner. 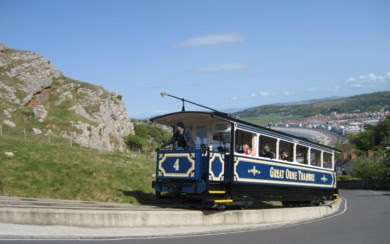 Over the weekend I was in Llandudno, north Wales, for the British Esperanto Congress. One of the highlights was a performance by an excellent local male voice choir, Côr Meibion Maelgwn ˈkoːr ˈməibjɔn ˈməɨlɡʊn. This choir, who won the first prize for choral singing in last year’s national eisteddfod, are strict about using no language but Welsh in their rehearsals and socializing. I had been asked to say a word of thanks afterwards, in Welsh and in Esperanto. The latter is no problem for me, but my Welsh comes entirely from books and from evening classes in London, so I am not very confident in the spoken language. Nevertheless, I thanked them in my best attempt at good fluent Welsh, managing to include a reference to one of the songs they had just performed. The choir members looked appropriately pleased and modest, and afterwards their leader and I exchanged a sentence or two of small talk. I felt rather proud of myself. But no one congratulated me on my language ability. To begin with I felt a little disappointed at that. But then I thought: if a non-native-speaking professor of English at some overseas university thanks me in good English for a lecture I have just given, I don’t congratulate him or her on the fact. I treat it as normal and unremarkable. For me as a NNS of Welsh, to have my use of the language taken as normal and unremarkable is the best accolade I could receive. As is well known, in English we dislike placing the intonation nucleus on the same word in successive intonation phrases. This dislike extends to reaccenting a word with the same meaning, and even to reaccenting a repeated morpheme. That is destructive, not constructive criticism. That is destructive, | not constructive criticism. However, there may be some difficulty in identifying what exactly counts as “the same morpheme” in this connection. cooperation | wins out over confrontation. Clearly, he felt that the second -ation counted as a repetition of the first, so chose to shift the accent to the earlier part of each word. But we make these deaccentuation decisions on the fly, and can be very inconsistent about them, coming out with accent patterns we might later have preferred to repair. I shall now be away for a few days. Next posting: 19 May. On 27th April you posted on your blog a comment from Gwen Awbery that she couldn't find software for drawing vowel charts, and I put up a comment a couple of days later to say that I was developing such a package. 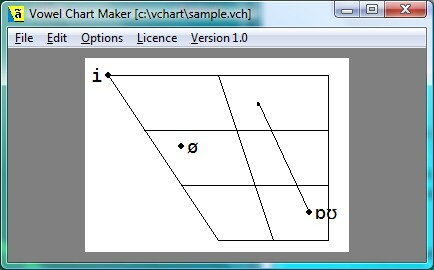 I have now published that package - it's called Vowel Chart Maker. It works from a script, includes automatic Sampa recognition, handles Unicode and non-Unicode fonts alike and is free to download (with some limitation on functionality). Could you please make this known on your blog? On David’s website there are instructions for using the program to draw vowel charts in Word 2008. My own version of Word is 2007, so these instructions did not exactly apply, but I think I know enough about Word to make the appropriate changes. Even so, I found the first of David’s instructions very difficult to interpret. The file is an .exe file, so after downloading it presumably you have to run it, before doing anything else. Running it installs the program. Then presumably you have to run the program (when you’ve sussed out exactly where it has installed itself). This produces the following. The instruction was to Copy Image. But in the Edit menu there’s no Copy or Copy Image option. Ctrl+C has no effect. To begin with I could not find any way to “copy image” except by taking a screenshot of the entire window (Alt+PrtScrn). After further exploration, I think that what you are supposed to do is probably go to the File menu and do Save bitmap. The help file supplied launches straight into requiring you to write a “script” and set “parameters”, with no explanation of what these terms might mean. I am sure this is fine for programmers, but it is definitely not fine for the rest of us. Perhaps I’m being obtuse, or perhaps (as so often) a programmer’s technical skills are not matched by an ability to draw up clear non-technical instructions for others to follow. Let me know if you find Vowel Chart Maker easier to use than I did. And Derek, perhaps you’d like to have another go at explaining to non-techies like me exactly how to use the program. I’ve never been one to utter what in English are quaintly known as four-letter words. My parents never swore, my brothers don’t swear, my partner doesn’t swear. My colleagues at work didn’t, most of my friends don’t. Not using a word oneself doesn’t necessarily mean not being familiar with it in the mouths of others. I still remember my surprise at boarding school in the south of England when, having grown up in the north (but in an RP-speaking family), I first heard a southerner say fʌk. Till then I’d supposed the word to be fʊk, as pronounced by northerners with no FOOT-STRUT split. The theme for our choir’s summer concert this year is the Seven Deadly Sins. One of the songs we’re due to present is a Lily Allen number, with which those of you who have lived a less sheltered life than I have may already be familiar. Unfortunately because of other commitments I shan’t be able to take part in our performances on this occasion, so I shall be spared the dilemma of wondering whether I can bring myself to sing in public what I would not say even in private. How do you pronounce the English female given name Naomi? But I have become aware of two other possibilities. One has the stress on the penultimate instead of the antepenultimate, thus neɪˈəʊmi. 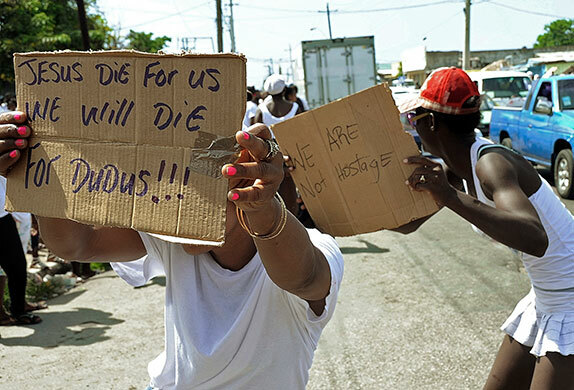 I know two West Indian bearers of the name who use this stressing. It is the only form given in Webster’s Collegiate. To my surprise, I find that this is also what Young’s Concordance gives (1879): NA-O´-MI. The other concerns variability in the final vowel. Kenyon & Knott’s Pronouncing Dictionary of American English gives (in their notation) ˈneəˌmaɪ, neˈomaɪ, -mɪ, -mə. Mangold & Cho’s Pronouncing and Phonetic Dictionary of Biblical Names (Saarbrücken 1994) lists four possibilities: ˈneɪəmɪ, neɪˈəʊmi, ˈneɪəʊmaɪ, neɪˈəʊmaɪ. But I have never heard -maɪ in Britain, still less -mə. There is yet another possibility, which I have been vaguely aware of for some time and have now just heard from a returning officer in one of last week’s UK election results. It has a different first vowel: naɪˈəʊmi . I have no idea where this comes from. It can hardly be a spelling pronunciation. Could it be contamination from naïve naɪˈiːv? That seems far-fetched. The name is of Hebrew origin, נָעֳמִי na’omi ‘pleasant’. In the Hebrew Bible Naomi was the mother-in-law of Ruth. According to Wikipedia, the name also happens to go very happily into Japanese as 直美 naomi ‘honest beautiful’. to form a regular hexameter (six feet, namely four spondees, a dactyl, and a spondee; caesura in the third foot). with two elisions as shown. I am one of that dying breed: people who spent many hours as a teenager having to compose Latin and Greek verse. By the time I was sixteen I knew the rules of elision and hiatus avoidance, and would apply them in my weekly task of putting English poetry into Latin hexameters (or sometimes elegiac couplets) and into Greek iambic pentameters. This is a skill I can say I have since lost. Looking now at my copy of Kennedy’s Revised Latin Primer, I am surprised to see that the whole matter is disposed of in a single paragraph. The reason that a vowel plus m was subject to elision was that the spelling m here did not stand for any actual nasal consonant but just for nasalization of the vowel. So monstrum was pronounced mõ:strũ: (and ends up in Italian as mostro). The nasalized vowel, like any other vowel, would be in hiatus if immediately followed by another vowel and would normally be elided in this context. In Latin, elision is not usually shown in writing (except sometimes in inscriptions, where you can get things like scriptust = scriptum est). This is different from the convention for classical Greek, in which elision is regularly shown by removal of the letters standing for deleted vowels, in modern texts with an added apostrophe to show the loss. Only short vowels could be elided in Greek. Here’s what it says in my Sidgwick and Morice, An Introduction to Greek Verse Composition. The village of Chideock in Dorset has been in the news recently because of an imaginative protest against the heavy goods vehicles speeding along its main street, which also forms part of a through route, the A35. 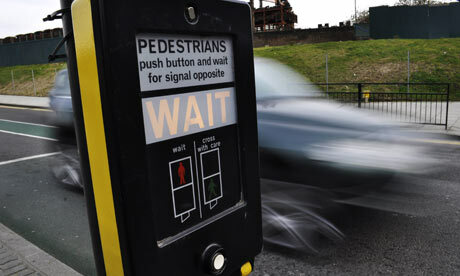 Protesters are repeatedly operating the pedestrian crossing button so as to force the traffic to stop. How do we pronounce Chideock? The answer is ˈtʃɪdək, as if spelt “Chiddock”. The origin of the Name Chideock is uncertain; it possibly comes from an Old English word 'coediog' which means 'wooded' or 'woody'. 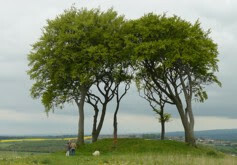 Alternatively, it may have derived from 'Cedda's Oak' - Cedda being a common Anglo-Saxon name. I have news for whoever wrote this. Coediog is not an Old English word. It is Welsh. It is the adjective from coed, the Welsh for ‘trees’ (Celtic *cę̄d ). If it is indeed the origin of the name of the village, it must of course have been adopted into their own language by the Anglo-Saxons who took it over. But it would have been a loanword. (Compare Eccles in Lancashire, from the Celtic word that gave us modern Welsh eglwys ‘church’, itself from Latin ecclēsia, in turn from Greek ἐκκλησία). As an element in placenames, coed may be familiar even to those who do not know Welsh, from the placenames Betws-y-Coed in north Wales (‘chapel of the wood’) and Cyncoed, a suburb of Cardiff (= cefn coed ‘back of wood’). In Buckinghamshire, the village of Chetwode ˈtʃetwʊd near Aylesbury shows us an OE wudu added to explain the Celtic *cę̄d. Its name means ‘wood-wood’, just as Pendle in Lancashire is ‘hill-hill’. Pronunciation is not determined by spelling. Contrary to popular belief among non-phoneticians, when we speak (or sing) we do not say letters aloud. I have always thought that one of the best pieces of evidence for this fact is the intrusive r that we non-rhotic speakers use — an r-sound where there is no letter r. This sound can only result from neurological (phonological) processes in the brain, not from marks on paper. We use intrusive r even, and perhaps most strikingly, when attempting to speak or sing in foreign languages. Here’s a YouTube clip of a pubful of English people singing Que/Y Viva España. You can just about detect the r in ˈvi:vɑːr eˈspænjɑː. Faced with a final open vowel at the end of viva, followed by another vowel at the beginning of the next word España, it would require a rather sophisticated effort for us not to link them with an r-sound. That was untrained karaoke. But even trained singers do the same thing. The choir I sing in is currently rehearsing the drinking song from La Traviata. The song ends with everyone promising to enjoy drinking and singing until dawn. si, ne scopra il nuovo dì. For each song our choir plans to perform, the music team very nobly prepare rehearsal tracks for us to listen to as we learn the words and music (blog, 19 January). Here’s a clip of the very last phrase, from the tenor 2 rehearsal track. It contains a very clear intrusive r between scopra and il. This also serves as a counterexample to the claim sometimes made, that a preceding r (scopra) blocks the operation of the r-insertion rule. whereby the speaker when making the statement ends the sentence with rising intonation, thus implying they are asking a question. The phenomenon of rising intonation drives me mad. Have you noticed more people uptalking? You know, that tedious habit of speaking in a rising cadence, with, like, an especially perky uplift in tone at the end, so your sentence sounds like a question? Even though it isn’t? now there seems to be a conscious, ironic use of the tone in circulation. People are using it deliberately, humorously. What do they mean to convey? It can act as a self-deprecating pin to deflate any awkward sentiment accompanying the words, a sort of preemptive apology. I don’t think it necessarily has any of these special meanings. It’s probably just an instance of language change. A rising tone on a final statement (made by younger people) no longer has the meaning that older people read into it (because that’s what it would mean if they used it themselves). • If you were born before about 1980, do not use uptalk. • If you were born later, you can imitate its use by native speakers: but do not overdo it. Uptalk is never essential. Bear in mind that using uptalk may annoy older people listening to you. If you don’t know what I’m talking about, go to this Language Log article, where there are several sound clips. It is thought that the first constituency to declare its result after the polls close in the UK General Election this Thursday evening will probably be that of Houghton and Sunderland South. This poses a nice test for the radio and TV announcers. Should they call it ˈhɔːtn̩, ˈhaʊtn̩ or ˈhəʊtn̩? THOUGHT, MOUTH or GOAT? Our pronunciation dictionaries give all three possibilities for places with this spelling. The picture at the top shows the Seven Sisters at Houghton-le-Spring (don’t ask). Photo: GeordieMac Pics. Places in other counties of England may differ. 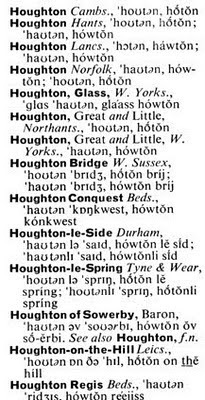 Graham Pointon’s BBC Pronouncing Dictionary of British Names (OUP, 1990) gives us a long list. But this list, long though it may be, doesn’t help us with places of that name in Australia, New Zealand, South Africa or Canada. Nor does it help with United States placenames. 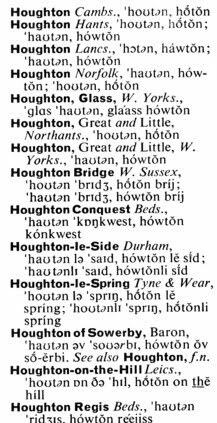 There, according to EPD, Houghton MI is ˈhoʊtn̩, like the one near Sunderland. But Houghton WA, according to Wikipedia, is ˈhaʊtn̩. On the M61 motorway in Lancashire there is a directional sign pointing to “Westh’ton”. Not all road users would know that this is short for Westhoughton, which is pronounced westˈhɔːtn̩.